The small town of Darrelgest has usually been favored by fate. Being placed in the middle of a well traveled trade road. It has become a stopping place of many a traveler and merchant. Regular troops patrols often pass through here, keeping the general area safe. The town’s appointed Speaker is Tomstel Becker, a retired city guard from the local capital. In a struck of luck he helped the right person and was appointed the person in charge of Darrelgest. Not that it requires a particular set of skills to keep the town safe and functioning. The town is protected by a small wooden wall that does its job in protecting it. From time to time bandits or brigands have tried to access the town for pillaging. But no such attempt has been successful thus far. Speaker Becker, being a former city guard, he keeps a sizable group of guards and town militia. Most people know what they have to do if the alarm horn that all city guards carry is blown. However there is an imminent threat that could prove disastrous for the small town. A band of orc brigands that roam the general area have wanted to pillage Darrelgest for a few months. Their numbers were not enough. Recently, through food bribing and clever promises, the orc leader Hurk made an alliance with a pair of hill giant brothers: Ott and Karek. They are getting ready to assault the town, they have built a giant sized portable ram that the giants will use to bring down the east door. Should they succeed in bringing down the door, the orc band will be free to enter and kill lots of townsfolk. There are two ways to do it. 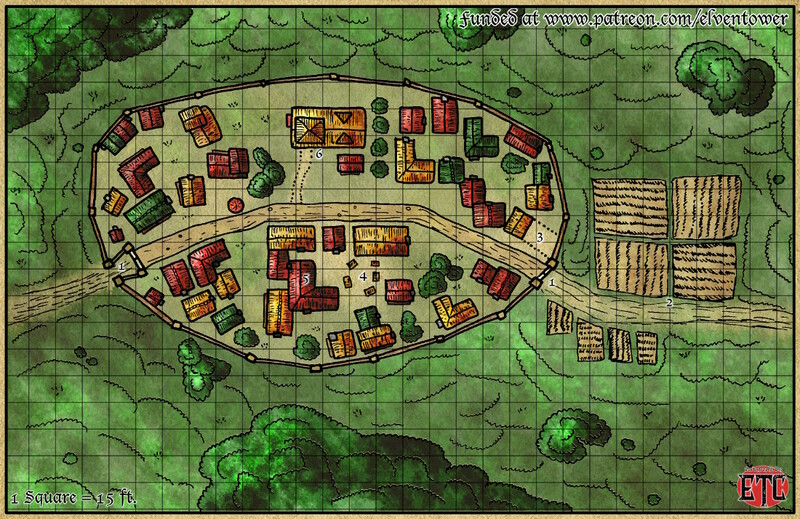 First, the adventurers are spending the night in the Inn while traveling somewhere else, when the alert horn is blown and they have to help defend the town or die in the fray. Second, the adventurers are traveling somewhere and they come across the siege scene, arriving just in time to reinforce the town militia and save the day. 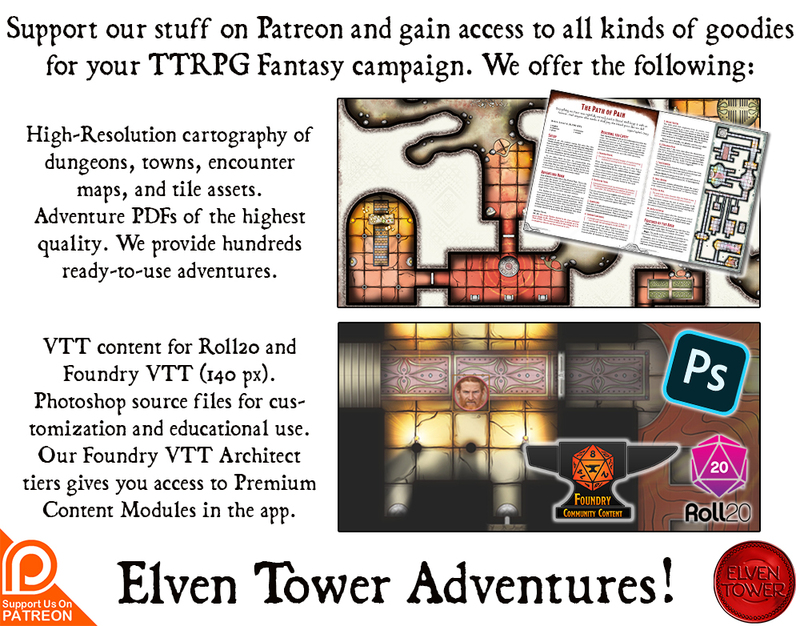 This short one-shot encounter/adventure is flexible in the terms of party level. The orc band consists of 15 orcs and one orc chieftain, plus the two hill giants. However the PCs are not alone in defending the town. There’s also the city guard and town militia, who are not much threat to the monsters but can take a couple of hits for the adventurers. Also, the attackers are not great in number, if things turn sour for them, they might decide to run to live another day. The giants are particularly vulnerable to getting scared if the other giant is brought down.